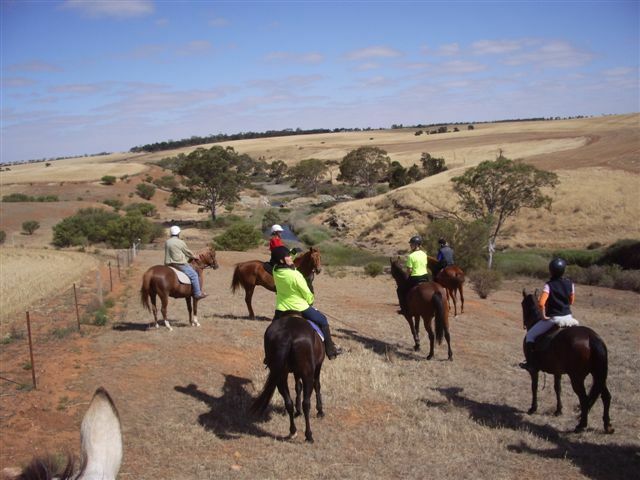 The Gawler Trail Horse Riders Club encourages a non competitive, social & responsible trail riding environment. Members have all sorts of horses from Pony to Draft & saddlery from English to Western & all sorts in between. Note - Gawler Club Members & their visitors are required to wear Safety Helmets whilst mounted - helmet must be no more than five years old from Date of Manufacture. Club trail rides are held at least once each month , usually the 3rd weekend of the month (Sunday calculated) & 5th Sunday also (if there is one). Training days are occasionally held & we try to hold camps approx 3-4 times per year. Dinner & a meeting is held in Gawler each month (1st Thursday) & a monthly newsletter is sent to members. Trail rides include beach, road, paddock, moonlight, sunrise & forest to name a few, usually lasting for around 3 hours (some longer rides also), mostly walk & a little trot but some are a bit faster (detailed in newsletter), group size varies (average ~8). The social atmosphere of our rides finishes with a get together for lunch & a chat. View event details on our facebook page. search - Gawler Trail Horse Rides Club. Gawler Trail Horse Riders Club has evolved from its inception in 1970 as the Gawler Endurance Riders. The Club then became the Gawler Adult Riding Club in 1980 when it splintered from the Endurance Riders with the first members being riders, from various riding disciplines who were looking for a non-competitive adult social riding club. The club then did trail rides but also became part of the North-East Riding Clubs which included Salisbury, Paracombe, One Tree Hill, Williamstown & Gawler Riding Clubs. A gymkhana, dressage & show jumping day was held annually with riders from the northern riding clubs participating. In 1990 Gawler Adult Riding Club changed its name to Gawler Trail Horse Riders Club when it became affiliated with the Australian Trail Horse Riding Association (ATHRA) when sporting clubs met hard times gaining insurance cover & because ATHRAs focus was on non-competitive family social trail riding. Although the North-East Riding Clubs no longer exists Gawler Trail Horse Riders Club has continued to survive. Over the years membership has risen and fallen but there has always been a dedicated core of members to keep the club active and viable. One of the original endurance riders members is still an active club member. 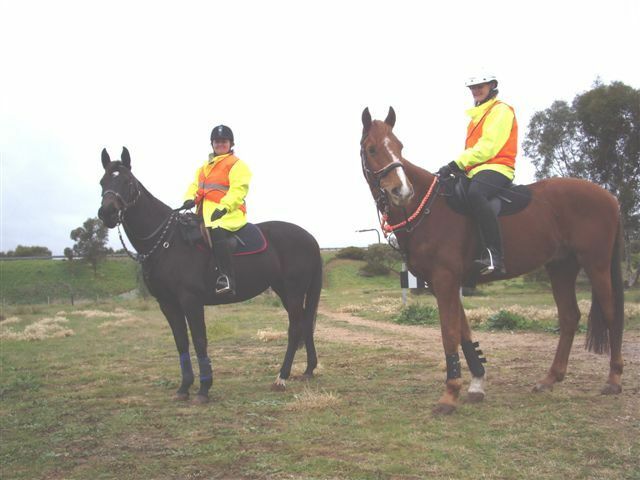 In April 2009 Gawler Trail Horse Riders Club had several members (with back up support by family), ride the full length of the Kidman Trail, the first horse riders to do so in one trip. The clubs social atmosphere encourages members to become part of a larger support network of equine friends, welcomes new members & the inclusion of friends & family members.